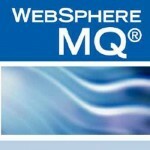 IBM WebSphere Online Traning|Credentials and Business Recognition. Over 90 % of Fortune 50 firms and of Fortune 10 corporations use the IBM electronic communication Backbone. Over 80 % of world 25 corporations and 70 % of world ten companies use the IBM electronic communication Backbone. A government consumer sends 675 million messages per day. A banking client handles over 213 million messages per day on IBM z/OS® alone.